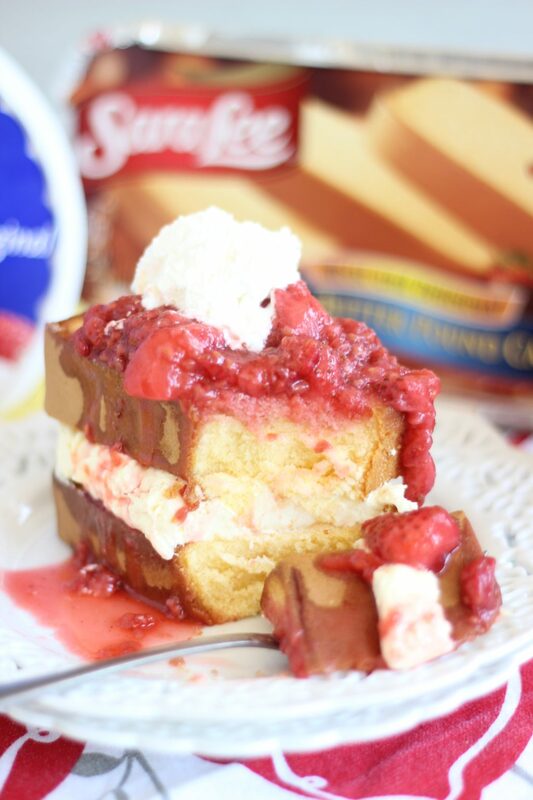 Sliced and buttered pound cake, grilled to golden perfection, stacked with a layer of no-bake cheesecake, and topped with a fresh mixed berry sauce! Strawberry shortcake… with a big makeover. BIG. Huuuuge, even. 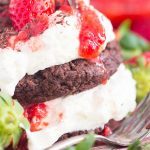 Not only does it get a huge, serious makeover, but it’s also EASIER than traditional strawberry shortcake. This recipe is better, and simpler. But your mother doesn’t need to know that, and she won’t figure it out when you serve her this dessert for Mother’s Day brunch or dinner! I will keep your secret. It’s in the vault. 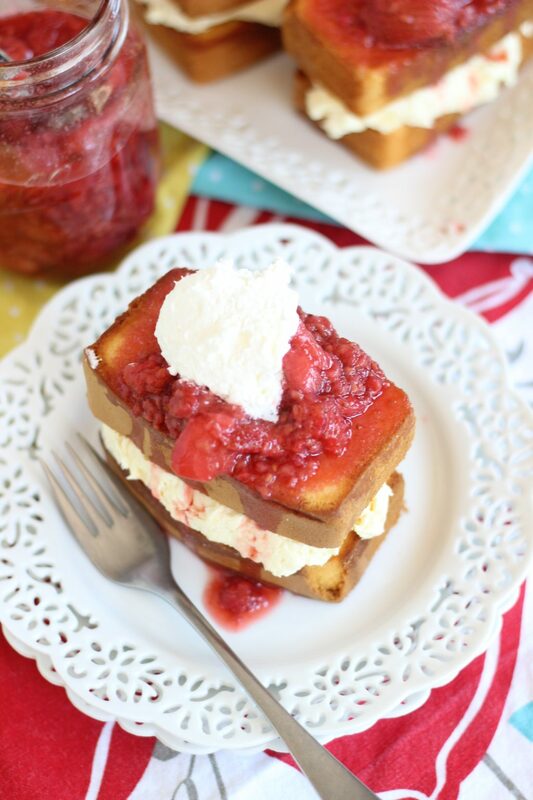 It’s a really nice dessert for honoring moms on Mother’s Day. It’s elegant and delicious, and she will appreciate the unique twist on the classic dessert. However, you’ll save a bit of time and effort in the prep work. 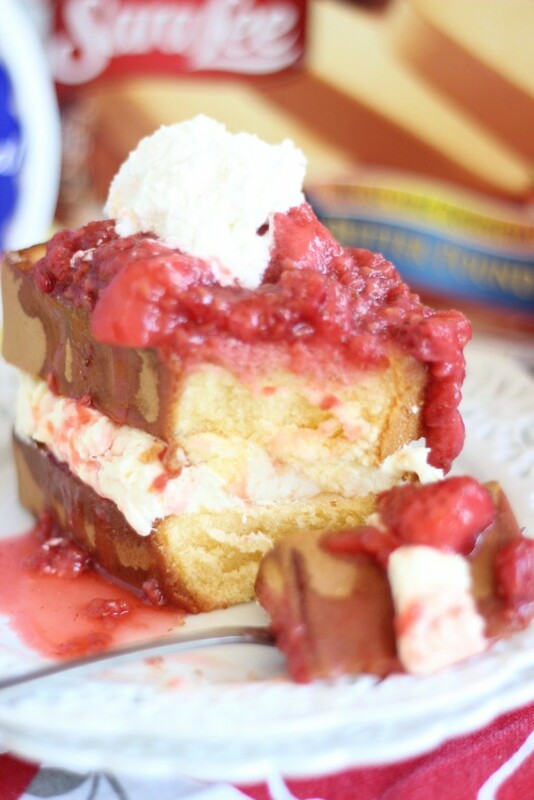 It’s no ordinary strawberry shortcake. Our shortcakes are pound cake. Our filling is no-bake cheesecake. 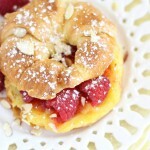 And our topping is not just strawberries, but raspberries too. A fresh berry sauce. If you’re so inclined, you could include blackberries and/or blueberries too! I used Sara Lee Pound Cake from the frozen foods section, and cut it into slices, straight from the freezer. It doesn’t even need to thaw! I buttered the slices lightly on each side, and grilled them until golden brown. Sara Lee frozen desserts are so ideal to work with in short-cut recipes because they are such high-quality. They are made with great ingredients, and they are absolutely delicious. 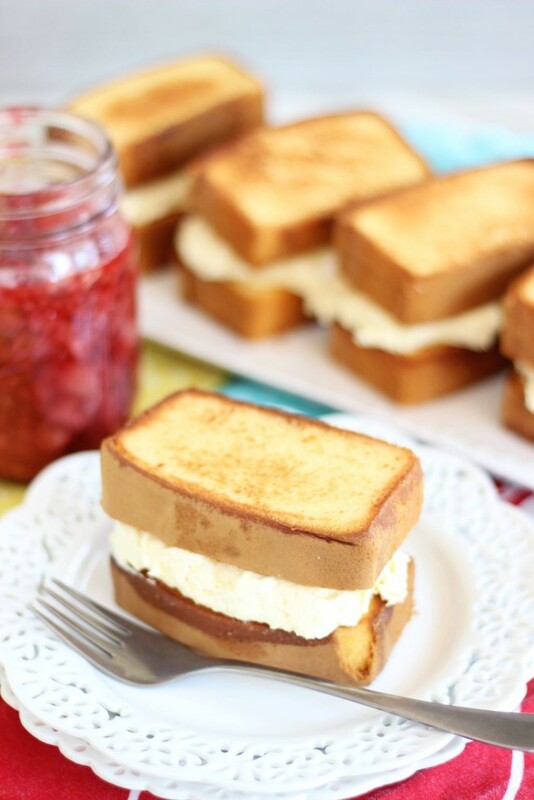 I stacked the grilled pound cake slices with a no-bake cheesecake layer. 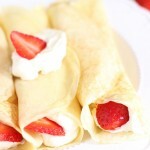 It’s a super simple filling to whip up with just a few ingredients! Instant vanilla pudding, milk, cream cheese, and Cool Whip. That’s all you need. 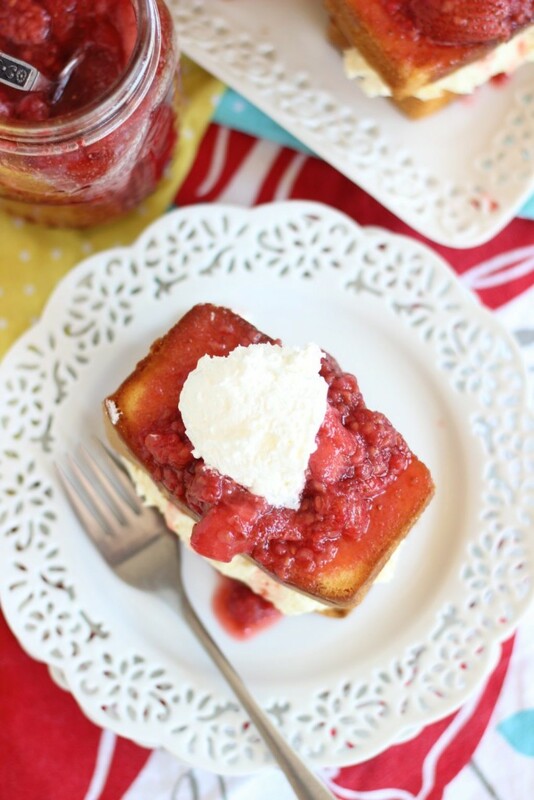 It’s light and fluffy, but full of rich cheesecake and vanilla flavors! To top them off, I just combined berries with sugar and vanilla, let them macerate and hang out for a while, and spooned them over top of the shortcakes. With a dollop of Cool Whip for garnish, of course. 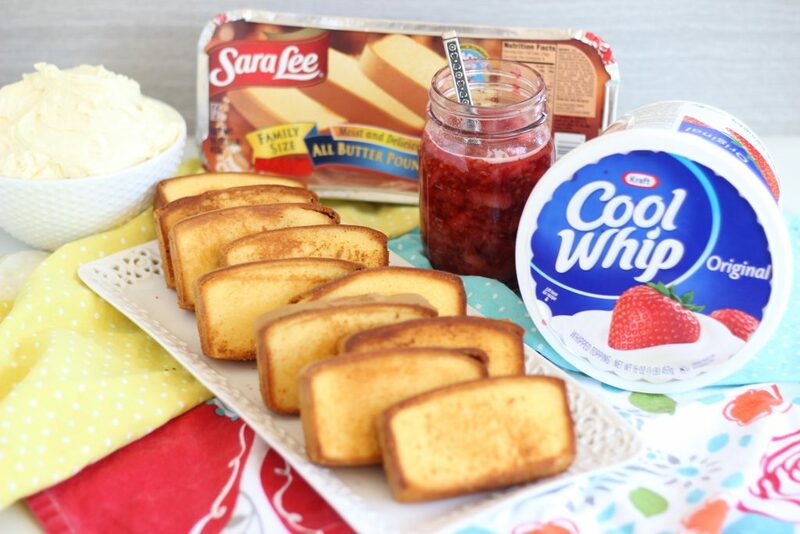 I like keeping Sara Lee desserts on hand in the freezer when I need to prepare a quick dessert or I know I’ll be entertaining. I am NEVER without Cool Whip Whipped Topping in my freezer. I have multiple containers at all times. 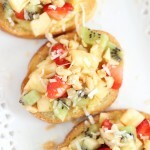 It’s so versatile for both incorporating into recipes and as a topping. They are both brands I trust, and I know the products will make mothers feel special on Mother’s day! In a medium bowl, combine strawberries, raspberries, sugar, and vanilla, tossing to coat. In a large mixing bowl, combine pudding mix and milk, stirring until pudding mix is dissolved. Allow to thicken for 2-3 minutes. Beat in cream cheese and Cool Whip. 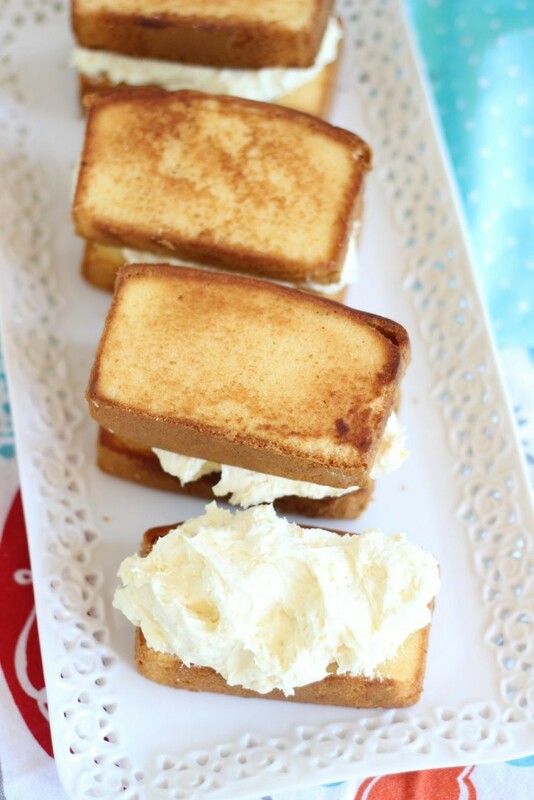 Place in the refrigerator to chill while preparing the pound cake. Spread both sides of each slice of pound cake evenly with butter. 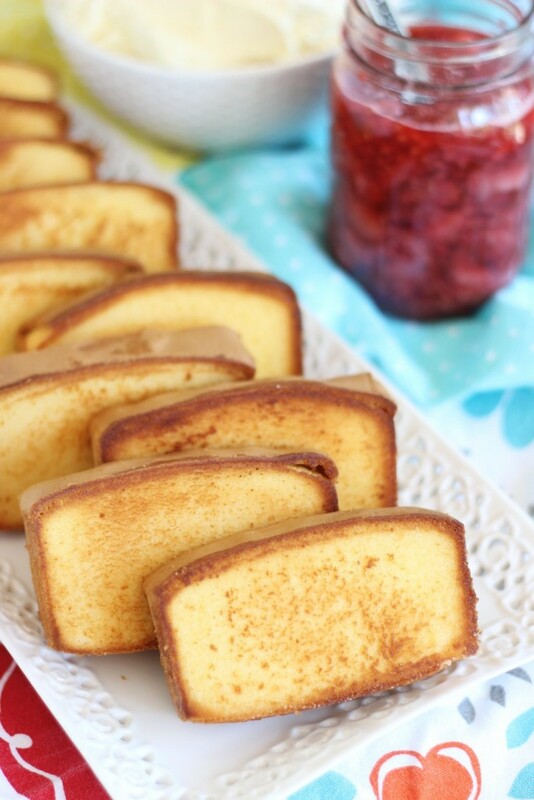 In a large saucepan over medium heat, grill the pound cake slices until golden brown on each side, about 2-3 minutes. To assemble, spread about 1/3 c. cheesecake mixture between two slices of pound cake. 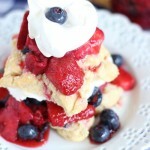 Spoon berry sauce over the top. Top with additional Cool Whip. Serve immediately! This recipe sounds so good! Congratulations for being the Friend of the Week at Create With Joy! such gorgeous little pound cakes. love how easy they come together too! Oh my goodness, do those look amazing! 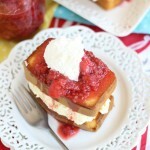 Shortcakes of any kind are always one of my favorites, but the grilled pound cake looks superb. Thanks for sharing at Throwback Thursday! Now this is taking it to the next level~ Looks delish and thanks for sharing on Throwback Thursday!